Feb 17, 2015 • [By Kerry Klein, USRA; NASA Goddard Space Flight Center] Iran’s Lake Urmia is one of the largest saltwater lakes in the world. With eight times as much salt as seawater, it’s the globe’s largest habitat for brine shrimp, which attract flamingos, egrets and other birds as they migrate across Asia. But the lake is disappearing. Using images captured by USGS-NASA Landsat satellites, researchers determined that its area has decreased by 88 percent since the 1970s. Many blamed severe drought, but climate data from satellites and other sources demonstrated that the lake is shrinking even in wet years. Instead, researchers attribute the vanishing water to the region’s increasing agriculture and development. The drying of the lake affects more than animal life. As water retreats, it leaves behind a salty crust that is swept into the air by dust storms. These particles can cause respiratory problems in humans and wreak havoc on nearby agricultural lands. 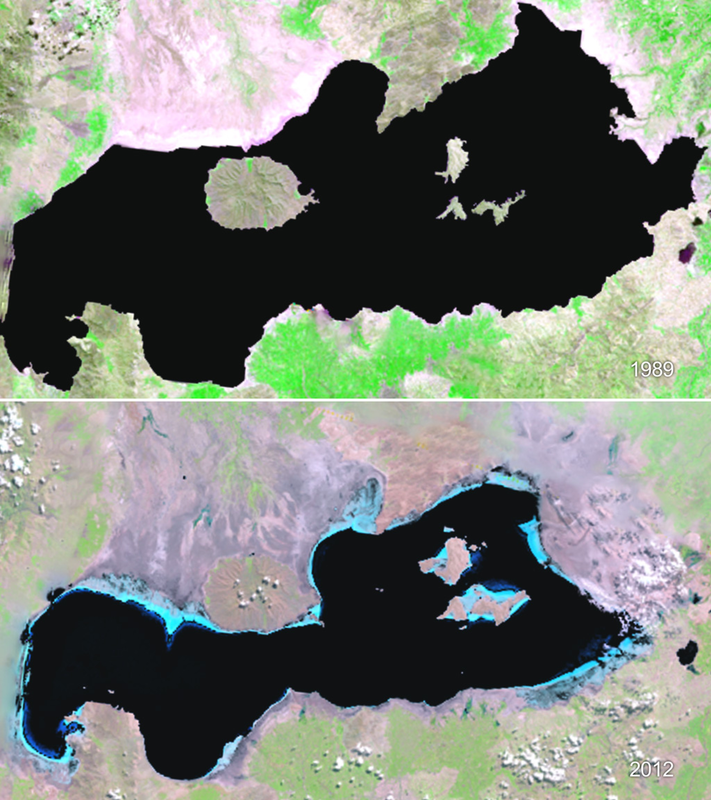 Watch the video to see how Lake Urmia’s footprint has changed in recent decades.